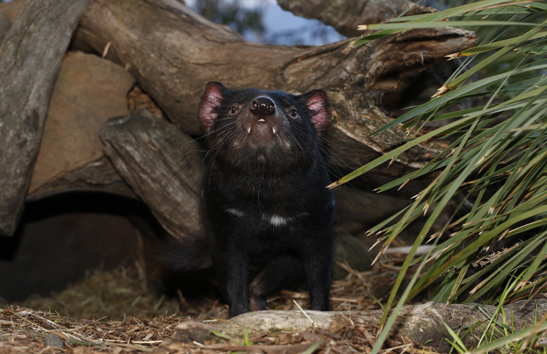 TMAG has created a range of events and activities to suit all ages to help celebrate The Remarkable Tasmanian Devil, so come and meet the devil you know, and the devil you don’t, this summer! TMAG is joining with the University of Tasmania (UTAS) to present this special late night opening, featuring a wide range of fun activities for visitors of all ages, as we help to welcome new international and interstate students to Tasmania. The event is also a unique opportunity to visit The Remarkable Devil Exhibition after dark. Enjoy short talks, interactive activities and surprise tours by TMAG curators. Plus there’s the chance to get involved in some Antarctic-themed dress ups, learn some circus skills and watch some fascinating documentaries. Relax with a drink, grab a snack from the Watergate food vans or catch some great live music. Join us for a gallery floor talk exploring contemporary artworks loaned or specially commissioned for The Remarkable Tasmanian Devil exhibition. Children under 6 can pick up one of the special Devil Toolkits made especially for The Remarkable Tasmanian Devil exhibition at the Visitor Information Desk. These kits include devil finger puppets, puzzles, and a sketch book and are free to loan during your visit. Sink into a bean bag or a lounge chair and enjoy an especially-created devil bush soundscape. Select a book from our special Devil Library, with books suitable for early learners to adults, or browse the latest information on devil conservation from TMAG’s exhibition partners. You can find TMAG on Facebook, Twitter and Instagram for more highlights of this fascinating exhibition. This page was last modified on 23rd February 2018.